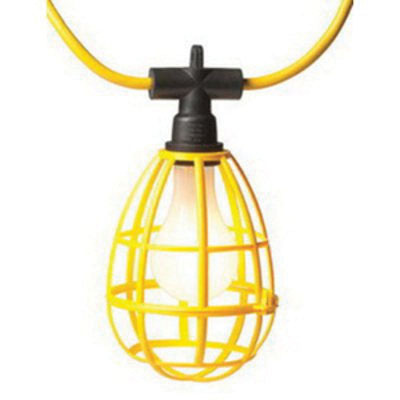 Engineered Products Company Deluxe cord light in yellow color, has 14/2 SJTW round cord for durability. The light has weather-resistant lamp sockets with rigid mounted eyelets for hooks or wire to hang out easily. It measures 100-ft x 10 ft. This light is suitable for use in construction sites, parking lots, walkways, festivals, circus tents and Christmas tree lots. It is ideal for use in indoor and outdoor applications. The deluxe cord light meets OSHA, UL 1008 Article 17.2 and UL 746C standards.